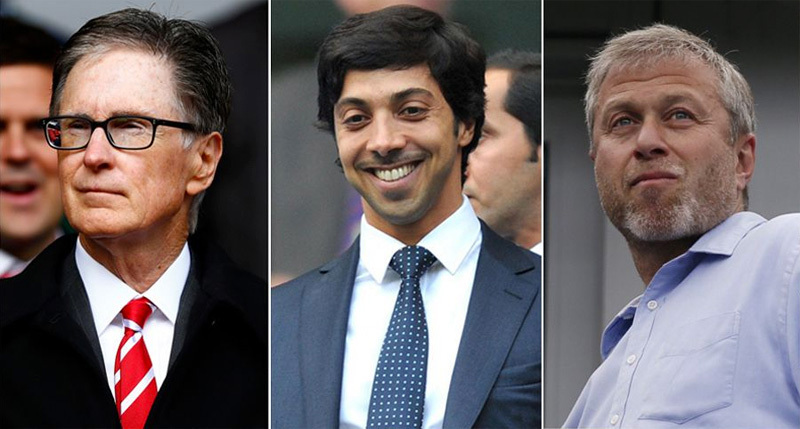 Did you know that it is possible to buy shares in a number of prestigious football clubs but that you don’t need to be as rich as John Henry, Sheikh Mansour and Roman Abramovich? You can buy shares in a number of football clubs that are publicly listed with only a small investment needed and you can do it all online! You certainly don’t need to be wealthy and you don’t need to be a genius. I am living proof of that! If I can do it, anyone can! Yesterday I purchased a number of shares in Serie A giants Juventus. Shares were available for around only 30 cents / 27 pence each! 100 shares at that price, for example, would only set you back approximately €30 / £27 plus the £11.95 trading fee. I now have an interest in a club that has won the Italian league a staggering 32 times! As a shareholder, you can monitor the value of your shares in real time when the markets are open and you can sell them on at any time if they’ve increased in value which might net you a tidy profit! You never know, maybe a rich Sheikh will appear and buy the club and your investment will soar. Then again, the club could be relegated and your shares might bomb! You can add more shares to your holding at any time or you can sell the lot, all with a few clicks from your computer. Personally, I invest in football clubs purely for entertainment and not to get a return on my investment. This is just a hobby for me. I only invest what I can afford and I do so assuming that I may never make any money because that’s not why I invest. I buy shares in football clubs to feel a part of something. It gives me an interest in other leagues. Obviously I want to the clubs I have shares in to succeed because I want my shares to increase in value but that’s certainly not the reason why I get involved. Remember, you should always seek independent financial advice before buying any kind of shares. My article is only for people who are interested in investing for a bit of fun. Before we look at what football clubs you can buy shares in, I would recommend this excellent free guide to investing by Hargreaves & Landsdown plc. This is not needed to purchase any shares but there’s no harm in downloading it. It’s completely free. I have been a client of Hargreaves & Landsdown for a couple of years now. I have singled them out because they were highly recommended to me when I began looking into buying shares a few years back. I can only speak from my own experience of using their services which I have found to be very easy and very well priced. They haven’t approached me to publish this article, they’re just the company that I use. They are a huge company who can be trusted. You can learn about them here. That said there are other Stock Brokers available but in this guide I will talk you through my experience using Hargreaves Lansdown. WHAT FOOTBALL CLUBS CAN YOU BUY SHARES IN? You can buy shares online in a number of Europe’s biggest football clubs. To buy shares in any of the football clubs below, you can follow my very simple steps at the very bottom of this page. Alternatively an independent financial advisor will be able to help you. Before buying shares, you need to open a free share dealing account like the one offered by Hargreaves & Landsdown plc. Follow this link and read the very simple instructions. It’s completely free and it’s not complicated. No search is made of your credit file as you are obviously not obtaining credit. The whole procedure should take around 5 minutes. There are no obligations to carry out any future transactions etc but you do need a share dealing account to purchase and sell shares. There are no ongoing fees to hold the shares and you only pay a small £11.95 fee to place the trade. For a full list of their charges see this link. Once you have purchased shares in any of the football clubs listed below, you can sit back and watch how your investment goes. You can of course also buy shares in other companies using your share dealing account. I have invested a few bob here and there but nothing serious. I’m a football fan, not a finance man! Full step-by-step instructions on how to open a share dealing account and how to buy into any of these clubs are at the very bottom of this page. Juventus. Italy’s most successful football club. Founded in 1897, they have won the Italian league a record 32 times! Trezeguet, Baggio, Zoff, Cabrini, Tevez, Vialli, Ravanelli, Deschamps, Charles, Nedved, Scirea, Platini, Buffon, Zidane, Del Piero. The list goes on and on. As a football fan who recognises great clubs, I had to buy shares in Juventus! With 47 league titles, 36 Scottish cups, 15 League cups, a European Cup and a couple of other trophies thrown in, Celtic, one of the big 2 north of the border, is a highly successful football club that needs little introduction. The club has a great relationship with Liverpool Football Club with both sets of fans singing You’ll Never Walk Alone before every match! Another huge Italian club. Their captain Francesco Totti is a favourite of mine. Can you believe that he is still playing at the age of 40! He’s given them everything. Roma is just one of those names that I consider a ‘Big Gun’. When people mention Juventus, Roma, Inter Milan, AC Milan etc I immediately think of the greats of football and although Roma may not have the biggest trophy haul, I bought shares in Roma purely because of their history. The last 15 years have been the most successful period in Lazio’s history. During that time they’ve won the UEFA Cup Winners’ Cup and UEFA Super Cup, the Serie A title, a number of domestic cups and they reached their first UEFA Cup final in 1998. I don’t know much about Lazio if I’m honest. I do know that their Stadio Olimpico can hold more than 70,000 and that Paul Gascoigne famously signed for them in 1992. I haven’t got any shares in Lazio but I’m sure I will buy some in the not too distant future. At the time of writing, once you have a share dealing account, you have to place your order to buy Lazio shares by phone instead of online. Jürgen Klopp’s former club Borussia Dortmund are the first and only publicly traded football club on the German stock market. The German giants have a massive trophy haul which includes 8 league titles and numerous domestic and European cups. They are a very class club who are widely respected throughout Europe. I haven’t bought shares in Dortmund yet but I plan to do so. It won’t surprise you when I tell you that I haven’t purchased any shares in Manchester United, nor do I have any plans to! But I have included the information for other fans that may stumble on this how to buy shares in a football club guide. Manchester United shares are traded on the New York Stock Exchange and can be purchased online. Having deposited funds, click on the appropriate club ‘buy shares’ link below or click on ‘Share Prices & Stock Markets‘ and use the search facility e.g. type in Roma. You will then be presented with a deal screen as shown in the example image below. For deal type, select ‘BUY’ and select either the number of shares you want to buy or select ‘pounds sterling’ for the total amount you want to invest. Remember to tick the ‘including charges’ box if you don’t want to spend say more than £20 in total (there is a small transaction fee of £11.95, the rest would be used to buy shares) or leave that box unticked if you are happy to pay the fee on top of the amount of money you want to spend on actual shares. Place your deal and wait for your instant confirmation to come through by email. You are now a shareholder! Keep an eye on your shares and hope your club is successful! I hope you found this article of use. If you do buy some shares because of this article, please let me know via dunk @ koptalk . com or via Twitter.